Chinese Android phones tend to be a lot Affordable than branded phones available in the market. These phones are giving a tough time to giant companies like Samsung, Sony and Apple. Not only they are affordable but often have equally good build quality and features. Here are the best Chinese Android phones. The Vibe P1 has a 5.5-inch screen with a 1,920×1,080-pixel resolution, with 13-megapixel camera on the rear (with dual-color flash) and a 5-megapixel shooter on the front. . It has a 1.5GHz octa-core Qualcomm Snapdragon 615 processor, 2GB of RAM and 32GB of internal storage, with up to 128GB of external storage and 5,000mAh battery. 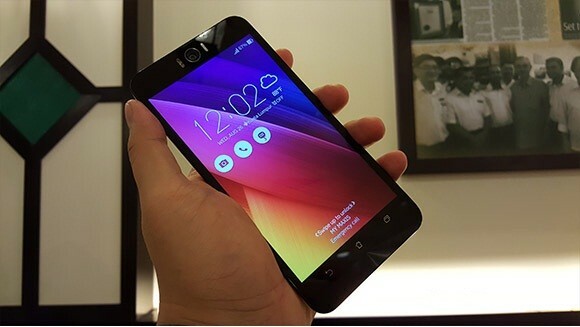 The Asus Zenfone Selfie has a 5.5-inch screen with a 1080 ×1920 -pixel resolution, with 13-megapixel camera on the rear f/2.0-aperture, auto-laser focus lens with dual-color real tone flash and a 13-megapixel shooter on the front. . It has a 1.5GHz Qualcomm Snapdragon 615 MSM8939 octa core processor, 3GB of RAM and 16GB of internal storage, with expandable up to 128GB and dual SIM (micro+micro) dual-standby (4G+4G) and 3000 mAh battery. The OnePlus 3 has a 5.5-inch screen with a 1,920×1,080-pixel resolution, with 16-megapixel camera on the rear (with dual-color flash) and a 8-megapixel shooter on the front. It has a Dual-core 2.15 GHz Kryo & dual-core 1.6 GHz Kryo Qualcomm MSM8996 Snapdragon 820 processor, 6GB of RAM and 64GB of internal storage, with no external storage and 3000 mAh battery. The Huawei P9 has a 5.2-inch screen with a 1,920×1,080-pixel resolution, with 13-megapixel camera on the rear (with dual-color flash) and a 5-megapixel shooter on the front. . It has Quad-core 2.5 GHz Cortex-A72 & quad-core 1.8 GHz Cortex-A53 processor, 3GB of RAM and 32GB of internal storage, with up to 256 GB of external storage and 3000 mAh battery. The Xiaomi Mi 5 has a 5.2-inch screen with a 1,920×1,080-pixel resolution, with 16-megapixel camera on the rear (with dual-color flash) and a 4-axis OIS shooter on the front. . It has Qualcomm MSM8996 Snapdragon 820 processor, 3GB of RAM and 32 / 62 GB of internal storage, with no external storage and 3000 mAh battery. The Honor 7 has a 5.2-inch screen with a 1,920×1,080-pixel resolution, with 20-megapixel camera on the rear (with dual-color flash) and a 8-megapixel shooter on the front. It has Quad-core 2.2 GHz Cortex-A53 & quad-core 1.5 GHz Cortex-A53 processor, 3GB of RAM and 16 GB of internal storage, with up to 256 GB of external storage and 3100 mAh battery.